`The sky didn?t fall, and our family didn?t fall apart. We just started using different pronouns. Oh, I had to change the name stored in my phone with his number. That was a bit of a pain.? ? 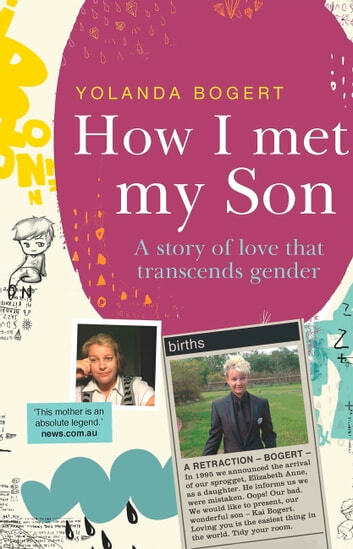 Yolanda Bogert Yolanda Bogert, a mum from regional Queensland, made worldwide news when she placed a notice in a Brisbane newspaper in December 2014. It read: `A Retraction. In 1995 we announced the arrival of our sprogget, Elizabeth Anne, as a daughter. He informs us that we were mistaken. Oops! Our bad. We would now like to present, our wonderful son ? Kai Bogert. Loving you is the easiest thing in the world. Tidy your room.? 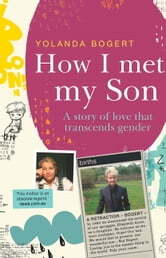 In How I Met My Son, Yolanda tells of her son Kai, their loving family, and the laughter and struggles they?ve shared. As a teenage mum, Yolanda formed a close-knit bond with her child. Now, together, Yolanda and Kai deal with issues of acceptance, religion and tradition in a heart warming story of love in transition.